In search of crazy paving experts in Worcester? Our crazy paving professionals within Worcester are going to provide you with the top quotes for having work concluded in the home. Crazy paving takes its name from the appearance. Even though it is known for a crazed look with randomly placed paving sections, it's an affordable form of adding an original appeal to your back or front garden. With a trademark look of broken portions, it will set your property apart from individuals with block paving or wood decking. Even though it might look like an easy DIY job, it shouldn't be tried without the vital expertise because there's actually heavy labour involved. An expert is best placed to complete a crazy paving job and the completed look will likely be fantastic. 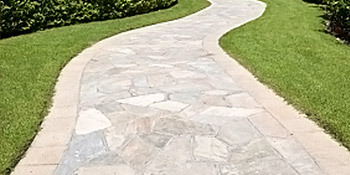 We are able to give you up to 4 crazy paving specialists, who will provide quotes for the work. You'll receive a home visit from professionals in Worcester who're fully trained in laying crazy paving as well as slabbing. The city of Worcester has actually been constructed around the River Severn, set in the West Midlands and with a population of more or less 94,000. The fifties and 60s saw large regions of the city bull dozed and rebuilt because of town planner choices, but there's still lots of middle ages structures remaining. Needless to say, this is only a portion when compared with before the redevelopments. With a variety of traditional and modern homes, it's extremely important to keep your home maintained and avoid hefty fees later down the line. Crazy paving and slabbing experts (paving slabs, block paving, stone paving) in Worcester. They are going to give you quotations within Worcester for crazy paving and slabbing. Quotatis are dedicated to getting you the very best prices within Worcester by comparing and contrasting more than 100 businesses. All crazy paving and slabbing companies we compare and contrast are licensed and continually appraised by new clients, ensuring quality as well as professionalism. Project: Customer visited the mygardeningprices.co.uk site and submitted an enquiry. Property type: Semi detached, Work description: Deweed and resand/grout patio, roughly 90sqM of large paving slabs. Project: Customer visited the mygardeningprices.co.uk site and submitted an enquiry. Property type: Semi detached, Work description: Block paving cleaning and gutter cleaning. Good quote but never called us back when we offered them the job. Not intrested in the job it was too big for them. The pie chart below presents the UK's populace based upon regions. Britain's total population is greater than 62 million, with the most significant proportion of residents in the South East, Greater London and North West regions. The table beneath the pie chart illustrates the UK's populace in regions as a figure. As you can see, both the South East and Greater London currently have in excess of eight million occupants, whilst Northern Ireland and the North East include the fewest inhabitants. With the information below you can see just how many solar power installations there have been in Worcester. Photovoltaic electricity is growing in popularity and a lot of homeowners are now planning to have this green technology set up on their roof to reduce energy bills and generate a tax-free income. Why don't you see if you can join the 1000s of UK property owners producing their own eco friendly energy. The data beneath displays the standard home price in Worcester. For the most part, home prices have increased in value considerably throughout the last ten years. However, in recent years prices appear to have stagnated and it's important to improve your home to add value. The information underneath illustrates the house market for the last seven years and how many homes have sold within Worcester. Because of the large expenses linked with moving home, many people are now looking to stay put rather than relocate. Home enhancements are becoming far more popular as people look to improve their home. Have a home improvement project and need a quality installer? Quotatis will help you find the best professional in Worcester and nationally, so you get the best possible price. Simply search for your project and we can find you up to 4 quotes.